Winter is coming... time for box lacrosse! 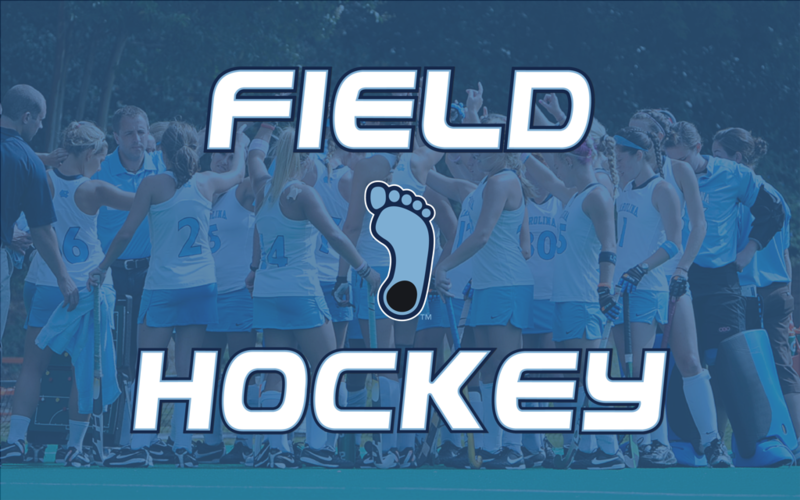 Winter Box League will be located on UNC's Campus at the Eddie Smith Field House on Sundays. The first-hour session is for 4th, 5th, 6th and 7th graders. All teams must have a minimum of 8 players and a maximum of 15 players. If there are extra individual players out there and you are under 15 players they could be added to your team. The Box League is a great way to improve the chemistry of your teammates from your Elite team or your High School team. If you are a goalie and want to participate in the Breschi Box Camp you will be free of charge. The camp wlill be using a highbread ball that is lighter and less dense than a regulation lacrosse ball. All you need is your field goalie equipment. Please contact Patrick Reed at (203)613-2420 or email at pwreed9@gmail.com to confirm your participation and what grade group you will be participating in as a goalie. If we do not have enough goalie's the goal will have a screen blocker placed in it. The Box League will consist of two 1 hour games per day. We will play games with a 5 on 5 format and goalie's when available. The goals will be 4x4. Checking is permitted but cross checking and hitting from the rear will not be permitted. The rules will be more in line with field play than the indoor box game. After a goal there will NOT be a faceoff. 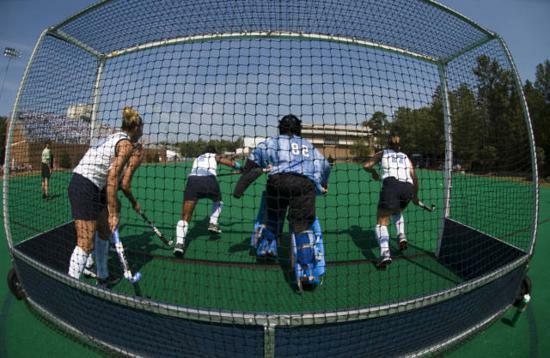 The scored on goalie will retrieve the ball from the net and put it back in play. This will keep the game fast paced and free flowing. There will be minimum of 1 ref per game. UNC Alumni, Marcus Holman, for the diving goal! 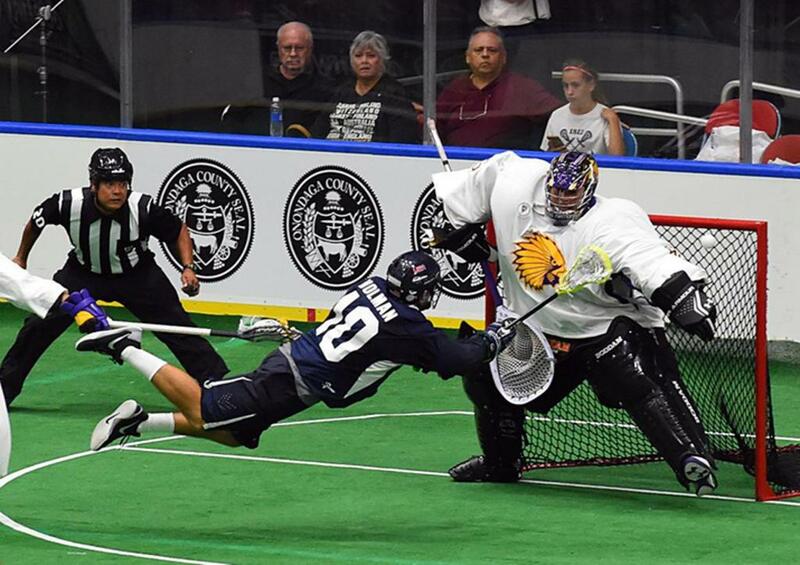 Box lacrosse, also known as indoor lacrosse, is played in hockey rinks with the ice removed. Two teams of 5 players and a goalie, similiar to hockey, compete against one another. The nets are 4'x4' rather than the traditional 6'x'6 and goalies use their bodies and padding like a hockey goalie to stop shots. Players are always near the ball as there is no offside rule and a 30 second shot clock,similiar to basketball. The professional indoor lacrosse association is called the National Lacrosse League (NLL)) and has teams in Minnesota, Vancouver, Calgary, Denver, Edmonton, Rochester, Buffalo, Toronto and Philadelphia. Interesting Box Lacrosse Fact: Alibaba Executive Vice Chairman Joe Tsai has bought the National Lacrosse League’s expansion team in San Diego in 2017. Over the past 5 years, there has been an explosion of Canadians entering the NCAA. 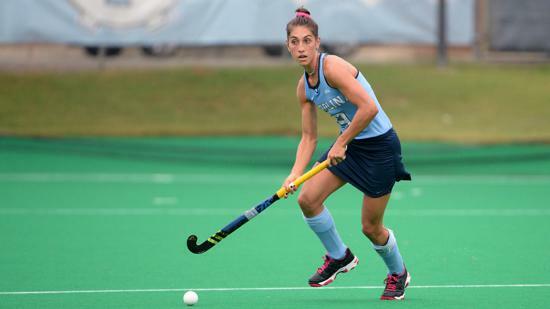 College coaches are taking notice of the special set of skills that box players possess. Box lacrosse will improve your stick skills because of the tighter confines in which you have to maneuver. You will improve your shooting accuracy, improve your stick fake's and have better stick protection when you move to the field game. You will also increase your shot variety and improve your ground ball production by learning how to pick up the ball in traffic. Our Box League will also teach you how to generate space off ball and give you a better understanding of the pick and roll. Our Box Lacrosse League was created to find a better way to improve lacrosse players in North Carolina. 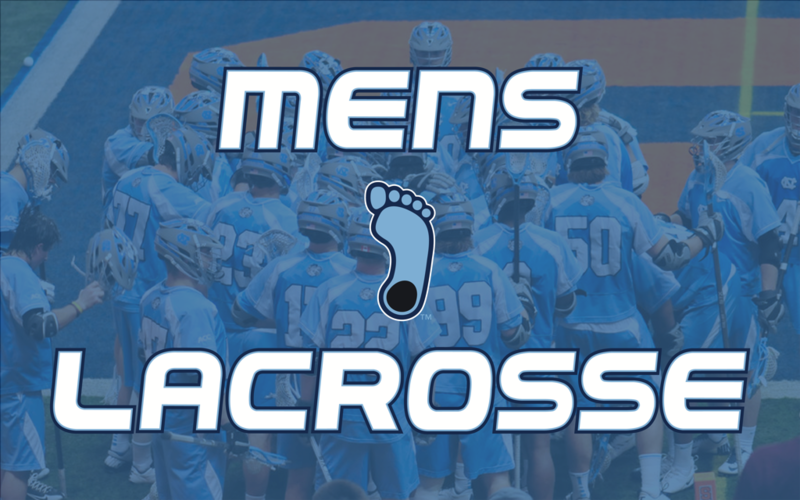 UNC lacrosse and Coach Joe Breschi want to give access to our local lacrosse community the best facilities in the country (The Eddie Smith Field House) on one of the nicest campuses in the United States. These skills can be transferred to their outdoor game in the spring. Coach Breschi wants to create a platform to help develop more well- rounded players in a fun and unique way. 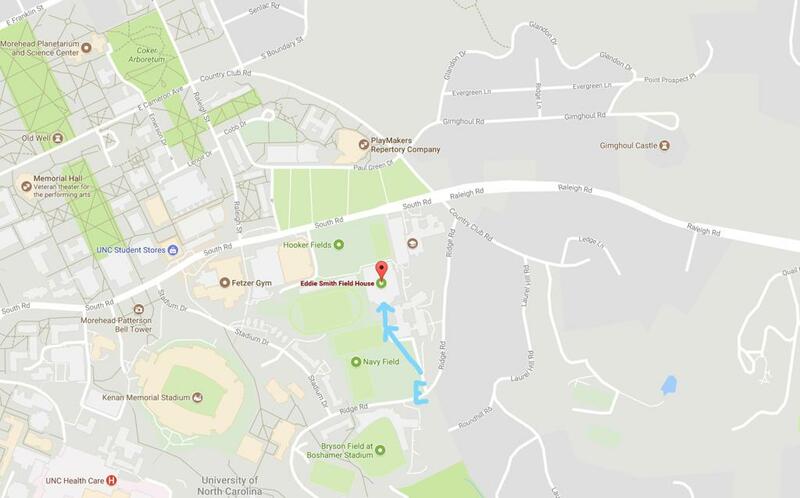 The Breschi Lacrosse Winter Box Camp will be held at The Eddie Smith Fieldhouse on the campus of The University of North Carolina. ©2019 Camps on the Fly / SportsEngine. All Rights Reserved.